Protect-X 2.0 - Now Available! Celebrations continue into the summer and at DataExpress, we are celebrating, too! XYPRO looks forward to seeing you at the upcoming shows! evolution enables Oracle GoldenGate platforms to be converted to DRNet® platforms with zero customer facing outages, zero programming, and zero loss of transactions. The evolution fabric, installed in about a day, enables seamless migration. LiveLink provides full 7x24x365 End to End Evolution support. LiveLink experts provide full support for both Oracle GoldenGate and DRNet® platforms, resulting in true project start to completion coverage for any issue that may arise. FOCUS provides an in-depth analysis of your existing Oracle GoldenGate environment. By understanding what works and what doesn’t work, our experts can suggest changes/improvements for your data protection environment. evolution projects begin with FOCUS, a detailed review and analysis of your environment and your business goals. We share the FOCUS findings in a written report and online presentation. Once you make the decision to evolve your LiveLink support begins. Our experts immediately enable true 24x7 support with Real Engineers who will answer the phone and work to solve any Oracle GoldenGate problems. LiveLink remains engaged thru all phases of your evolution. Once fully converted to DRNet® the LiveLink team will transition your account over to our world class support group. With 35+ years of data replication support, NTI’s Real Engineer support group offers the finest support services in the world. When you are ready we will install the evolution network fabric. Evolution is designed to install in about a day, will not interfere with your business transactions, will not impact customer facing transaction performance, requires no business outage, and sets up the environment to begin seamlessly migrating from Oracle GoldenGate to DRNet®. MIGRATION is the final step in your evolution experience. Our expert teams will assist you with the analysis of your business transactions and the planning for the migration of these transactions over to the new platform, one business function at a time. evolution enables upgrades and transformations at a relaxed pace. There’s no longer a need for a big bang overnight conversion. Customers can take their time shifting their transaction flows, all the while being covered by the evolution network fabric. evolution is available today. Contact Evolution@Network-Tech.com for product briefs, to arrange introductory webcasts, and to learn more about evolving to the next generation NonStop. OmniPayments is all about choices. When it comes to our Financial Transaction Switch, our standalone system has proven to be a popular preference among new HPE NonStop customers as well as existing customers looking to migrate from BASE24 or other payments infrastructures. But for companies choosing to move their payments systems to the cloud, we offer OmniCloudX on NonStop X. The response to OmniCloudX has been overwhelming. Many of our largest financial and retail customers select the OmniPayments Financial Transaction Switch as a standalone system in their data centers. It is deployed on NonStop for the highest availability and offers all the requisite functionality to manage credit/debit-card transactions. It manages multiple devices, hosts application interfaces, and interoperates with third-party products or other systems if required. OmniPayments easily expands to provide additional functionality when needed and supplies complete security functions for every financial transaction handled, including encryption-at-rest and encryption-in-flight. Our Switch supports ATMs, POS systems, and both Web and mobile applications. Available 24x7, OmniPayments can be installed either as a complete, off-the-shelf solution or can be enhanced with customer-requested modifications and features to improve cost-effectiveness, efficiency, and risk mitigation. It will survive any single fault, requires no downtime for maintenance or upgrades, and supports a range of disaster-recovery solutions. We offer a wide range of separately sold microservices that connect seamlessly to your other systems and solutions. OmniPayments’ open architecture and modular design permits gradual implementation for smooth migration from existing payments infrastructures. The OmniPayments implementation team has a long history of successful migrations. In each case, the migration effort was pain-free, avoided all disruptions to customer services, and was completed on schedule and within a highly attractive timeframe. The OmniPayments pricing model for its standalone system is based on a one-time software license instead of on transaction volume. Our customers experience tremendous cost savings. Interest in the cloud is bringing new customers to OmniPayments as companies move their payments systems to OmniCloudX on NonStop X. OmniCloudX hosts numerous OmniPayments instances at a pay-for-use price so attractive that mid-size retailers and financial organizations now can enjoy the benefits of having their own high-capacity transaction switches. Each OmniCloudX customer pays only for the CPU resources, storage, and networking that it uses. In fact, what we are discovering is that even larger customers have expressed interest in OmniPayments’ cloud-based switching solution. OmniCloudX is continuously available with automatic failover to our other NonStop X systems located at OmniPayments data centers worldwide. Like our standalone option, we offer complete security functions. Starts at only $5,000 USD per month. Here’s another choice we offer our customers. Companies new to HPE NonStop often contract with OmniPayments to be their 24x7 Managed Services Provider. OmniPayments staff perform the administration, the maintenance, the security – everything that is involved in working with the NonStop. The customers enjoy all the benefits of NonStop’s famous mission-critical fault tolerance yet avoid the challenges of having to learn an unfamiliar system. Customers also save costs and time because we at OmniPayments have years of experience on the platform. It is a sad fact of life in the NonStop world. Your NonStop Systems work forever, but your developers and support teams don’t. They retire, they migrate to other assignments, and their expertise is difficult to replace in your business-critical environment. That is why you count on BrightStrand International and its flexible resource program. Brought to you by the largest pool of HPE NonStop resources in the U.K. and quite possibly in the world. Here is how our flexible resource program works. Not every company requires a year’s worth of support services. So why pay for a year’s worth? With BrightStrand, you have the option of contracting for a predetermined number of service days over a defined period. That way, all contractual necessities are in place. When an emergency or another unforeseen issue arises, we can act quickly to place the most appropriate resources at work on your behalf. You avoid having to negotiate prices and terms while your systems – and your business – suffer. Your costs are less than those of an annual contract, and you can add more days if necessary. Beyond the obvious advantage of having access to our highly experienced NonStop team, BrightStrand’s flexible resource program allow us the opportunity to understand your system configurations and applications. Therefore, well in advance of your use of our services, we can anticipate the skills you may need and which of our BrightStrand colleagues are best suited to assist you. Just how far-reaching are BrightStrand’s skillsets? When it comes to NonStop, we have centuries of combined experience spanning every NonStop platform and operating system. Our multiplatform support extends as well to IBM, UNIX, and Windows. Count on us to be prepared for any challenge your systems encounter because we have experienced every possible challenge. Such deep expertise is a valuable commodity. What it offers BrightStrand customers is peace of mind. BrightStrand International is your go-to source for highly skilled IT professionals. In addition to our flexible resource program, BrightStrand offers a complete product lifecycle from initial planning through implementation to fully managed services. We work onsite and remotely, and everything we undertake is tailored to the specific requirements of each customer. The result? Lower costs, reduced risk, higher availability and increased efficiencies. We encourage you to contact us for additional information. Gravic recently published a new case study, HPE Shadowbase Software Enables Operational Analytics for Commodity Big Data. HPE Shadowbase software plays a key role in a quality control system for a major U.S. commodity market by integrating applications to extract meaningful data from a mass of test and product quality data, or big data. The system grades and classifies samples from large batches of the commodity as it arrives from the field, to provide real-time analyses on various performance parameters, including moisture content, tensile strength, color, and quality. This information is also used to price the commodity in the spot markets. Extraction is efficient thanks to a series of Online Analytical Processing (OLAP) utilities. 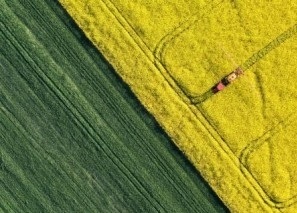 The solution has dramatically improved the reporting of the quality metrics for the crop, immediately alarming the users when key parameters are not met, or if the testing equipment goes out of band. It provides for near real-time tactical reporting of crop metrics to the growers (for production analysis), manufacturers (for manufacturing analysis), and markets (for accurate pricing), and provides historical analysis for strategic purposes. Mobile commerce continues to expand rapidly into a variety of arenas; both cloud based as well as new hardware areas. With over 1.3 billion debit and credit card accounts globally, opportunities for new payment mechanisms are unlimited. In this fast growth environment, the ability to quickly test new API’s and onboard payment partners is a serious challenge. Accelerating time-to-market for new applications and services is a priority and having the right test and certification strategies can be a major advantage. To meet this growing need, Ascert has expanded test capabilities via its Ascertified Portal, which provides a flexible cloud based testing environment for QA, development, and certification testing. Based on our popular VersaTest technology, Ascertified is a subscription fee service that offers affordability and rapid start-up for new testing environments. API testing, EMV test certification, automatic error identification, and a fully functional testing sandbox, are just a few of the services available through Ascertified. Ascert's VersaTest family of testing and certification products can assist any organization looking to add increased value to their operations. To find out more about Ascert products and standard test interfaces visit the Ascert web site or contact a local Ascert office. Off-the-shelf simulators include solutions for EFT testing, POS testing, stress testing, ATM testing, Fraud testing, IFX testing, EMV/chip card testing, ISO8583 testing and 3270 & 6530 terminal testing. Ascert’s custom simulators have been used for testing air traffic control systems and biometric payment systems. Ascert delivers flexible solutions that are either customer site installed or accessed via Ascert’s Remote Testing Services. Ascert's products assist testing professionals across industry segments to better manage their testing processes and environments through an end-to-end tool set. Blockchain. Oh, no! Another new technology about which I know nothing. That statement summarized my feelings about blockchain until I heard a presentation from HPE’s Matt Riesz at the May 2017 NYTUG meeting. Matt is a superb speaker. His clear, concise explanation of how blockchain works elevated my understanding from total ignorance to a “not nearly as dumb as I thought I was” level. Matt explained how HPE has partnered with R3, the provider of the Corda open-source distributed ledger technology (DLT) platform, to bring resilience and scalability to DLT applications. At the recent HPE Discover conference in Las Vegas, R3 demonstrated Corda, now in public beta, running on Integrity NonStop. This article is based on Matt’s presentation and also will appear in the July/August 2017 Connection. The Importance of Failover Testing – What a difference a little failover testing could make. Yet all too many companies avoid such testing because of the potential disruption to users if the testing effort goes awry. The problem is that in the absence of failover testing, an outage that takes forever for the backup to take over or for the failover itself to fail causes even more user disruption. “The Importance of Failover Testing” discusses several architectures in which a backup system can be deployed and explains why the failover process does not have to be tested in an active/active environment. How “Fat” Are Your Fingers? – Although a “fat finger” typically references an error caused when an incorrect keyboard key is depressed, the concept of a fat finger fault has been expanded to include any erroneously entered keyboard command that unintentionally compromises an IT system. This Digest article highlights some infamous “fat finger” outages and offers a simple solution to avoid them. IBM Builds Super-Dense 5-Nonometer Chip – Can chips get any smaller? Every time we say no, someone proves us wrong. This time, it’s IBM’s turn. Two years after IBM created the first 7-nanometer chip, the company has announced a new breakthrough process to build an even more densely packed chip, one measuring only 5 nm. It will achieve a 40% boost in performance as compared to the 7-nm chip. • Book Writing – As the author of “Performance Analysis of Transaction Processing Systems” and a co-author of the three-part series “Breaking the Availability Barrier,” Dr. Bill understands the effort it takes to produce a manuscript. Buy the books on Amazon. Published monthly, the Digest is free and lives at www.availabilitydigest.com. Please visit our Continuous Availability Forum on LinkedIn. We’re at 800 members and counting. Follow us as well on Twitter @availabilitydig. Data is the lifeblood of mission-critical applications, and HPE NonStop customers rely on the powerful capabilities of NonStop SQL databases to store, analyze and manage that data. Therefore, NonStop customers need to ensure that NonStop SQL databases are well-organized, using efficient queries, and running at peak-performance. To do that, NonStop database managers need powerful database management tools and often, highly-privileged access rights. However, providing database managers unrestricted privileged access poses serious risks. With privileged access comes increased threats from malicious insiders (one of the most difficult to detect and resolve security threats), catastrophic user error and compromised credentials. Previously, NonStop customers didn’t have a choice between database management functionality and security controls. Now, with the release of Merlon SQLXPress 3.50, you can have the most functional graphical database management solution for NonStop SQL and strong security protections. Merlon SQLXPress 3.50, released in June, is the culmination of a multi-year project to make it the most secure database management solution available for NonStop SQL, period. SQLXPress requires a user to logon using either a Guardian user name, or a Safeguard alias name, together with a valid password. The SQLXPress client logon dialog supports PCI DSS 3.2 multi-factor authentication (MFA) requirements by prompting the user for a verification code, or passphrase. Using this in conjunction with XYGATE User Authentication (XUA), which is already present on your HPE NonStop server, means you’re now up-to-date with the very latest in PCI 3.2 MFA compliance requirements. Protect-X® provides a revolutionary way to manage Safeguard and OSS security via a mobile-friendly, HTML5 interface. It also supports Linux and other UNIX security environments and can be used for mixed platform and virtual systems. Manage NonStop security without installing anything on your NonStop system*. Take a free test drive of the new Protect-X 2.0 on our NonStop test facility without leaving your desk! Request your free test drive here. Alternatively, you can contact us for a trial with your own system(s). ü Customizable security hardening rule sets. Protect-X® simplifies many tasks of NonStop Security including Safeguard Users, Aliases and Groups management; Security Hardening; Compliance; OSS security management and OSS effective Access reporting. It features full approvals chain for authorizing changes, automated security hardening and many other features including merged audit trail support. Completely browser-based, Protect-X® uses the CSP-Wiki® as a reference guide which contains hundreds of security hardening recommendations for NonStop systems. Access to the full CSP-Wiki® is FREE to NonStop end-users. * - Existing CSP customers do not need to install any NonStop software to use Protect-X® in their environment. New users need to install a light footprint Safeguard agent. There are times where we take time, as a community, to reflect on just how valuable a role NonStop systems play in support of our most important mission critical applications. Not so much a case of putting on fancy caps and blowing whistles, but rather having an appreciation for just how good our NonStop systems perform and how well they integrate today with all other systems in any enterprise technology ecosystem. Since the earliest steps were taken to introduce computing into the enterprise there has been recognition that there are systems optimized for batch just as there are systems optimized for online transaction processing just as there are systems better suited to office applications. Adding PCs and laptops into this equation only helped reinforce these categories. So yes, as we reflect on the value of NonStop we can also enjoy a little celebration over its presence as the premier product offering in the online transaction processing arena. In the just-published July issue of NonStop Insider we touched on this theme of reflection and celebration when we wrote of how it is in July when here, in North America, we celebrate Independence Day. You will see fireworks, hotdogs and flags being unfurled and raised high. The Canadians too celebrate Canada Day in July, the Canada Day having stolen the march on the U.S. celebrating, as they did, on July 1, 2017, their 150th anniversary!. On the other hand July 4, better known as Independence Day, is recognized as a time to reflect on the sacrifices of our forefathers even as it has become a time for splashing around in a river or beach. It’s easy to get caught up in the occasion and even if your birthplace is somewhere else on the planet, any time there is a swimming hole beckoning with hot dogs grilling on the BBQ, joining in with the others celebrating the occasion is a fun thing to do. For DataExpress it’s easy, too, to see the analogy here with what is happening within IT and how it is easy to get caught up in the excitement of the latest hyped trend, transformation. As a vendor focused on both the NonStop and Open Platforms, with products that manage the movement of files, this push to transform is really good news for our company as transformations of the type now being promoted involve more than one system and more than one architecture, so moving files to where they are supposed to be present becomes imperative. It is at times like this where, in any business, there are so many moving pieces and where the lines of responsibility become blurred, you just don’t want to see any fireworks lighting up the sky above you! We are often asked whether DataExpress provides value for every enterprise, a question that came up recently at an event we attended. “If we run Connect:Direct (formerly Network Data Mover), for instance, do we need DataExpress?” And the response we always provide is no, you don’t. If you have a homogeneous environment where everything is moved via Connect:Direct then that will suffice. However, even as HPE has responded so well to the message of open with the latest NonStop offerings, so too are enterprises pushing deeper into the open systems environment. More often than not, even those enterprises with Connect:Direct will also have S-FTP and once you have more than one file transfer system in place, you can realize significant benefits from deploying DataExpress – both DataExpress NonStop (DXNS) and DataExpress Open Platform (DXOP). And as you reflect on the message of transformation, as HPE would encourage you to do, the most important element of transformation is to recognize that traditional systems are being quickly augmented by new-age server farms and clouds where there will likely be even more file transfers and automating it all as you jump from one product offering to another – Connect:Direct in, S-FTP out, for instance - this is where we see DataExpress thriving. However, just as we see July being a time to celebrate in North America with the rest of the world not too sure what it’s all about, so too is DataExpress celebrated mostly in North America and this is a situation we are looking forward to addressing shortly. Securely moving files of different types between different systems isn’t just an issue for North America but we see it as a growing global need. As we wrapped up our previous article to Tandemworld, we noted how as we head into the northern hemisphere summer with many people we know and work with headed for vacation, there is a sizeable knowledge drain that goes along with vacation time. When it comes to file transfers, just how well-prepared are you? How automated are your processes and how automated are your escalation procedures should something need attention? How accessible is the information about the transfers to those on the road with PDAs being their only access point? And if you are not a current user of DataExpress and yet need to move many files every night – will summer be a time when you fail to execute critical movement of files simply because operations forgot to completely run a required script? So yes, it is summer and a time to reflect on the value that NonStop provides. And yes, it’s also a time to celebrate. DataExpress knows all too well that at this time of year we have a lot to be very happy about and even as we reflect on HPE’s messages and see the transformation under way already within the NonStop community, heterogeneity means multiple file formats and mechanisms emerging and with that, the door swings wide open for even more opportunities for Data Express. Should you like to hear more about DataExpress and about the users of DataExpress we would be only too happy to schedule a call and a demonstration for you at your convenience. Just drop us an email or call us as we would be only too happy to discuss your requirements even as everyone continues to slip away on vacation. NuWave us excited to announce the general release of it's latest HPE NonStop middleware solution, LightWave Client™. LightWave Client™ is middleware that allows applications running on NonStop servers to securely access REST Web services anywhere, on any platform or operating system. To learn more about LightWave Client™, visit NuWave online or contact sales@nuwavetech.com for more information. to seeing you at the upcoming shows! Utilize what you’ve already got……..
Let’s take a look at data backup. Today many NonStop customers are researching Cloud based solutions, whether private or public. But what’s the best way to interface Cloud backup with existing NonStop servers, like NB, NS, or NonStop X, and their associated Storage CLIMs? Well, we certainly don’t want to throw away any of these costly items, and of course NonStop users still have valid concerns about Cloud performance, reliability and availability. TSI’s Storage Director addresses these concerns in a straightforward manner. 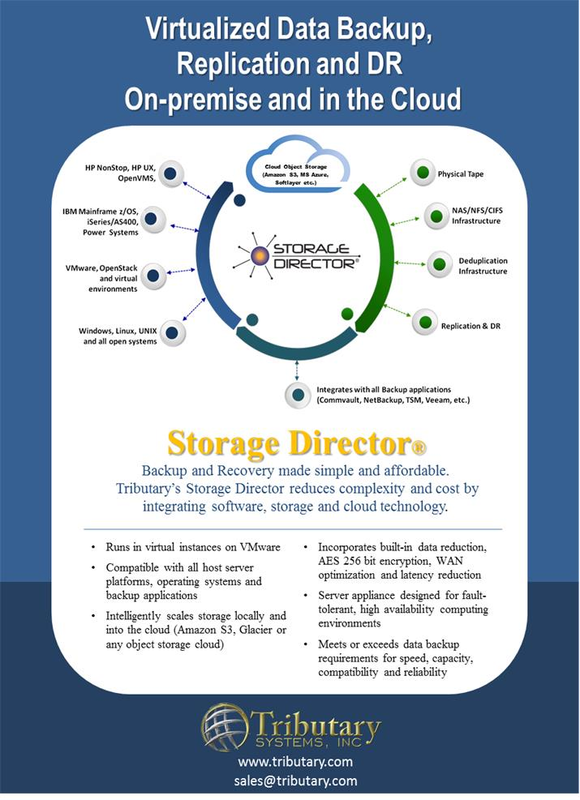 Storage Director interfaces with all NonStop systems employing Storage CLIMs, and any S3 Cloud. Backup data can be sent to the Storage Director, and due to the extremely high ingestion rates, performance is excellent and backup windows will be met. Also, Storage Director, based on policies determined by the customer, can either “pass-thru” data to the Cloud, or, Storage Director can internally cache backup data for a specified period of time before forwarding to the Cloud. In this way, backup data can be immediately available for restore should conditions arise that make this necessary. In fact, based on customer policies, data pools can be manipulated in numerous ways, concurrently, based on user requirements. • Storage Director has been employed by banking, financial services, retail, telecom and healthcare customers in their production datacenters for over ten years. And what about heterogeneous environments? In enterprises with multiple host platforms – HPE NonStop NB, NS and now NonStop X servers, HPE Open VMS, Windows and VMware running HPE Data Protector, IBM zOS mainframes, IBM AS/400s iOS (now IBM PowerSystems), among others – Storage Director enables sharing storage technologies otherwise dedicated to each host platform. Such storage technologies can include existing enterprise storage disk, HPE StoreOnce, EMC Data Domain, and Quantum DXI data de-duplication devices, physical tape, Cloud Object Storage, or any combination of storage technologies concurrently, as dictated by individual data management needs. Such a converged approach improves storage performance, enables consolidation, and can lead to measureable savings on a “per TB” of retained data. A Fortune Magazine article stated “Can America's Department Stores Survive?“ The Atlantic Monthly stated “From rural strip-malls to Manhattan's avenues, it has been a disastrous two years for retail.” Recently, Amazon threw down the gauntlet and announced their intention to integrate the traditional bricks and mortar grocery vertical via their announced $13.7B bid for upscale grocer Whole Foods Inc. The industry has become focused on Omni-Channel, and within that movement a key foundation to accomplishing it resides in the integration of payments as part of the strategy. Lusis, a payment specialist provides key elements to enable this need. In simple terms, the retail industry has to unify their customer experiences across all channels in order to provide a highly personalized experience. A significant key to that accomplishment is an IT architecture that enables these goals. Register for $1,295 Until October 20th. 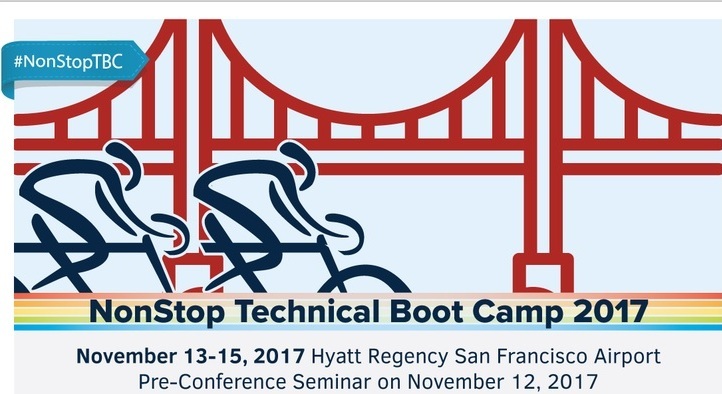 Do you have a technical breakout session that you would like to present at Boot Camp? We are still accepting proposals for sessions. The deadline for submissions is September 1st. To learn more and submit your session for consideration, click here. Several new sessions have been added to the "Sessions" tab. Check them out here. Stay tuned for more sessions as they are approved. The final list of sessions will be updated by October 1st. The Partner SIG looks forward to reuniting with Customers and HPE this fall! Please register via EventBrite for the Mid-Atlantic Tandem User Group (MATUG) meeting scheduled for 8am-5pm on Friday, October 13, 2017 at the Marriott Courtyard BWI Airport Hotel near Baltimore, MD, USA. (Click https://eventbrite.com/event/16902004350/ for more information.) Expect HPE presentations on the NonStop HW/SW product roadmap and the new partnership with Blockchain, as well as several informative vendor presentations. The MATUG meeting is open to all HPE NonStop customers, partners, users, consultants, or interested parties. Members are usually from the following states: Pennsylvania, New Jersey, Maryland, Delaware, Virginia, Washington, D.C., and West Virginia, although anyone can attend. MATUG provides members with the opportunity to participate in quality informational sessions, learn about new HPE products and services, and interact with fellow HPE NonStop users. Please forward this announcement to others in your organization who may be interested in attending. July is vacation time and this will likely continue well into August. However, there are still many members of the NonStop community who stay active on social media. A recent check of my own Facebook page told the story of just how many of you are enjoying time away from the office. And this dovetails nicely into what has been a common theme for the month of July – transformation. Transformation and, in particular, the transformation to a hybrid infrastructure topics came up a lot in the commentaries and posts written over the past couple of weeks and you will be able to read them all as you follow the links below. As for secondary messages, then the ongoing pursuit of openness and standardization continues to be of interest to everyone in the NonStop community and is also touched upon in several posts. New this period has been the numerous discussions that continue to develop around the topic of virtualization and there is no shortage of opinions about the merit of moving to a virtual machine. But is the traditional business of NonStop truly ready for virtualized NonStop (vNS)? It’s still very early in the lifecycle of vNS but one thing is becoming very clear – vNS is in addition to traditional NonStop and not necessarily a next step from a NonStop upgrade perspective. In other words, vNS is something we should consider alongside of NonStop rather than ahead of NonStop. Growth is not optional; it is a must! Shipping containers are being repurposed; could we see something similar happening with NonStop! “Whereas last year NonStop X was the big reveal, this last year has been all about Virtual,” acknowledges TCM MD Tony Craig.